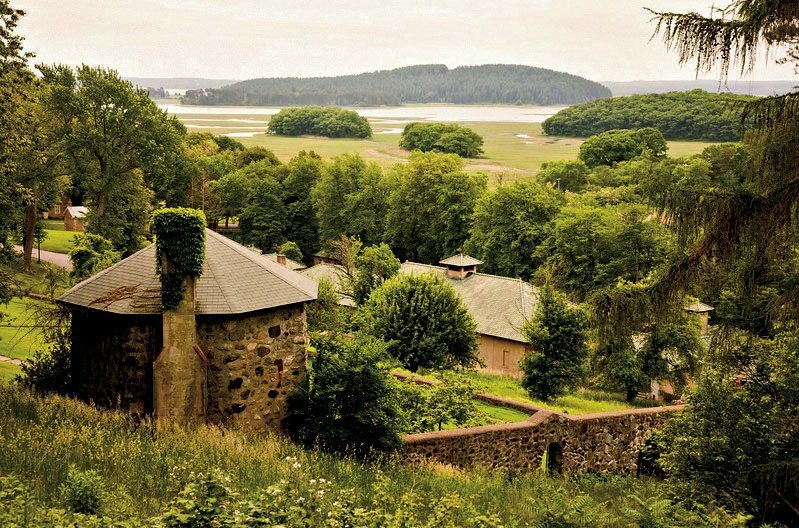 Restorations revive the grand spirit of a North Shore estate. A dreamy Italianesque landscape was recreated on New England's shoreline. Sweeping views are well worth the half-mile walk across the hilly Grand Allée. 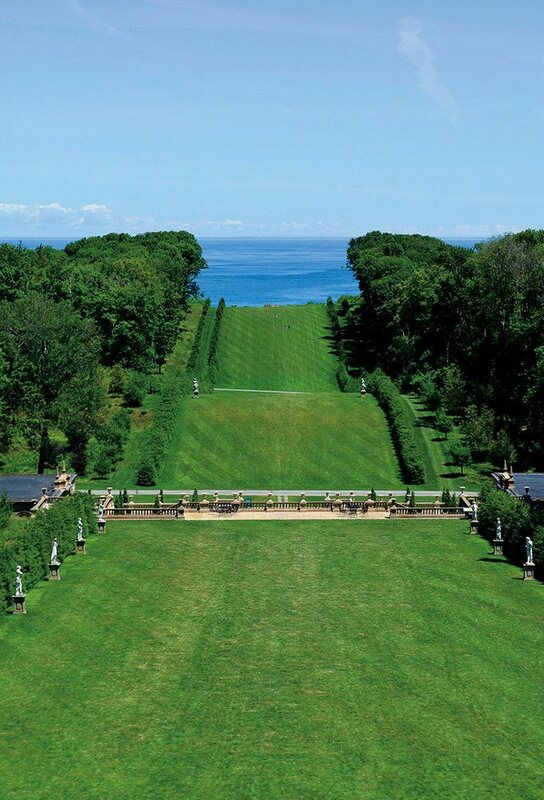 Behind the “Great House” on the Crane Estate  in Ipswich, Massachusetts, a vast lawn rolls out half a mile to a bluff overlooking the Atlantic Ocean. Few New England landscapes are as majestic as this “Grand Allée”—and far fewer are open, year-round, to the public. Even better, visitors to the site are encouraged to picnic, read, lounge, and play games on the grassy slopes, and explore easy walking trails, including one leading down to Crane Beach . 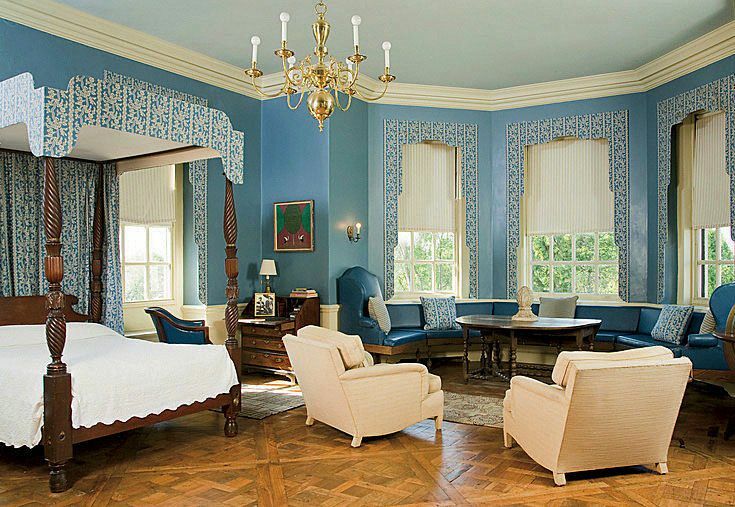 Or they may tour the 59-room mansion, a rare survivor of America’s early twentieth-century country-estate era. 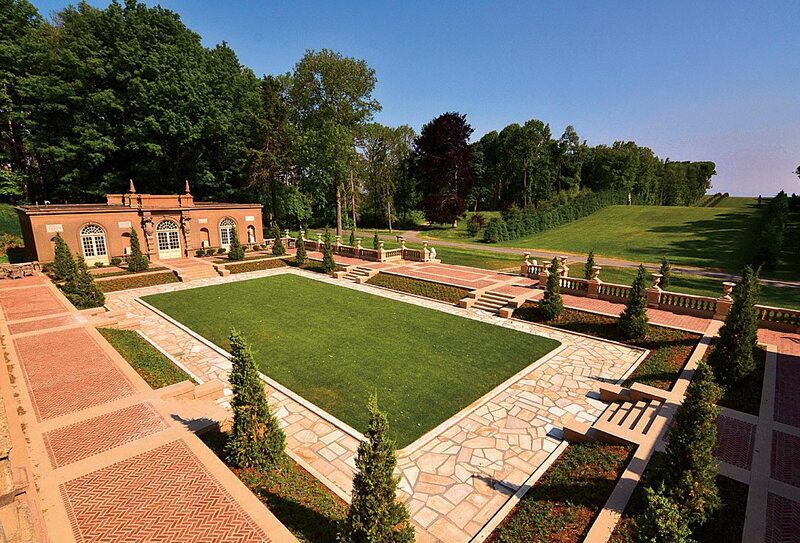 In its heyday, the estate on Castle Hill was an opulent showpiece and summer playtime paradise. An Italianate “Casino Complex” tucked into the allée’s first hillside had a courtyard with a saltwater swimming pool that was bookended by two villas: one housing a ballroom, the other providing “bachelors’ quarters” for the young men who visited Chicago plumbing magnate Richard T. Crane Jr., his wife Florence, and their two children. Nearby were a bowling green, tennis court, maze, log-cabin playhouse, golf course, and deer preserve. The Cranes also ran a self-sustaining farm, with livestock, an orchard, and lush vegetable and rose gardens, along with an on-site 134,000-gallon underground water cistern and a coal-fired power plant to supply electricity. The Trustees can’t recreate the Cranes’ luxurious utopia. But a three-year, $1.5-million restoration and improvements project has helped foster the estate’s spirit of relaxed sociability and extend aspects of the Cranes’ lifestyle to a much wider audience. The 2,100-acre property (which encompasses the nearby Crane Wildlife Refuge) is among 112 sites owned by the Trustees that exhibit “exceptional scenic, natural, and historic beauty” across the state; these range from vegetable farms, a creamery, and rural woodlands to wildlife sanctuaries and community gardens in Boston. The most recent fundraising campaign, spearheaded by president and CEO Barbara Erickson, has promoted improvements to the nonprofit’s “signature cultural resources”: Naumkeag, a Gilded Age mansion with gardens, in Stockbridge (see “Spring Forward,” March-April 2013, page 24D),  and Castle Hill, which are both National Historic Landmarks. 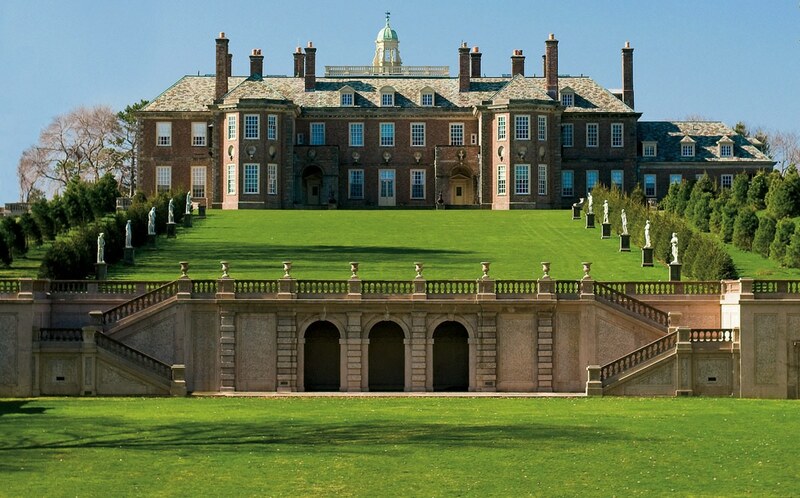 The imposing, Stuart-style English manor—a patchwork of architectural styles such as Baroque and Palladian—was designed by David Adler and completed in 1928. The side facing the allée features a main building with an inset terrace buttressed by two symmetrical wings. Second-floor porches and bay-windowed bedrooms offer stunning views of the water. 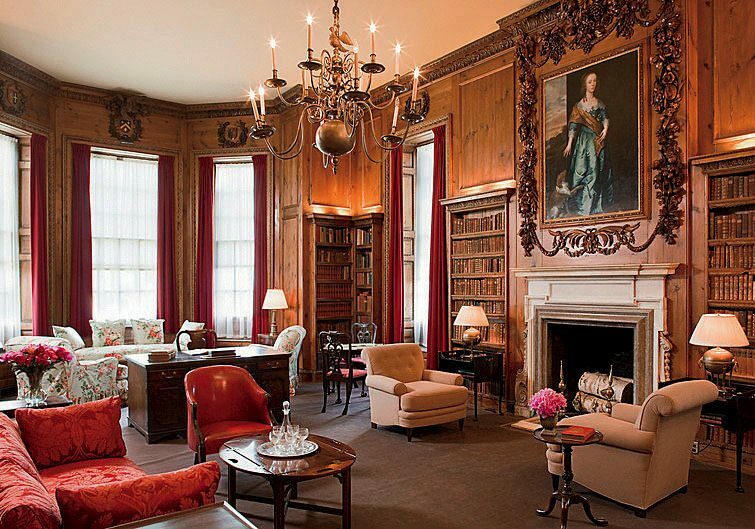 The interior has a surprisingly rustic and homey feel for a mansion, perhaps due to the hodgepodge of decorating styles—ornate Georgian (Adler salvaged and installed wood-paneled rooms from a 1732 London townhouse, for example), alongside Greek Revival, Italian Renaissance, and Art Deco. 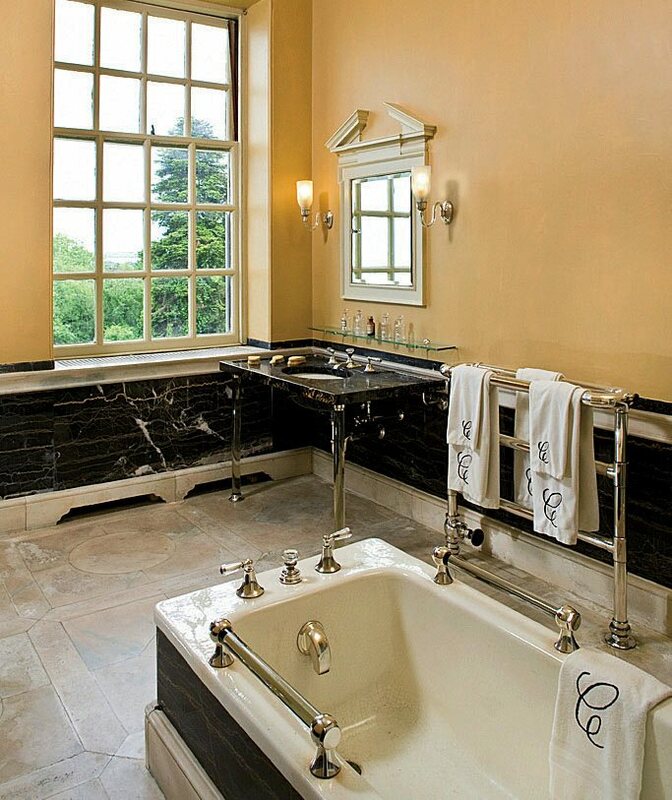 Most impressive, however, are the bathrooms—befitting a plumbing millionaire. Each of the seven bedrooms has its own, many outfitted with then-cutting edge Art Deco fixtures and one decorated almost entirely in Delft tiles. Richard Crane’s features a large tub with gleaming silver-plated piping and faucets, a shower with 12 nozzles, a white marble floor, and heated towel rack. 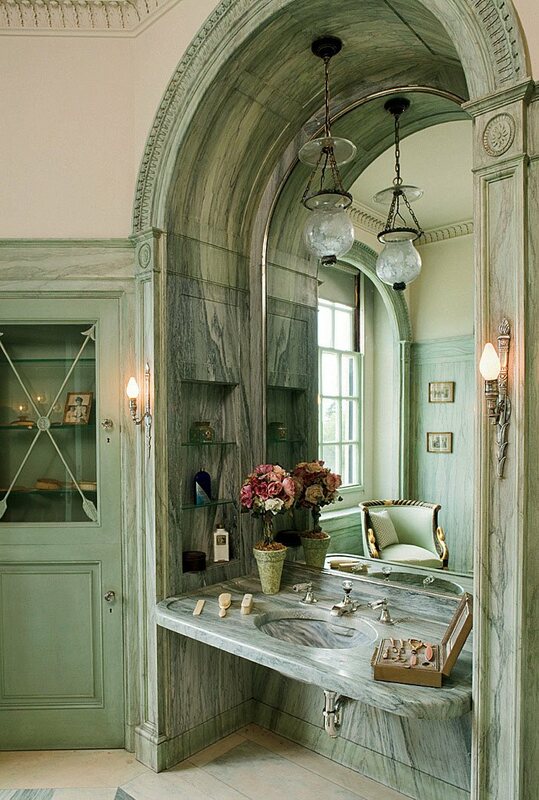 His wife’s is pale green with delicate glass shelving and loads of gray-veined marble providing an archway over the sink, the tub-surround, and flooring accents. Shurcliff (a mentee of Olmsted firm partner Charles Eliot, A.B. 1882, the son of Harvard president Charles William Eliot and the primary founder of The Trustees of Reservations in 1891) lived down the road from the Cranes. He certainly shared the Olmsteds’ naturalist aesthetic. “But one aspect of his genius,” Bob Murray notes of the allée’s meticulous design, “was the way he took this European aesthetic and adapted it to the New England landscape.” Shurcliff enhanced the inherent hilliness and dramatized the approach to the Ipswich Bay and ocean vista: benches on the bluff overlook Ipswich’s Little Neck Harbor, Plum Island, and several beaches as well. He seamlessly tied the landscape to the formidable hilltop home by ensuring that the land was sheared down to a lawn (echoing the aristocratic grounds in English country homes) and installing a rigorously spare and symmetrical planting structure. Florence Crane reportedly loved her new “English manor” and spent extended summers there until she died in 1949, having previously bequeathed the estate to the Trustees. Parts of the property have been open to the public ever since, according to Murray. Within the last 15 years, about $6 million has been invested in capital improvements, starting in 2000 with the wholesale renovation of a shingle “cottage” on the estate (where the Cranes lived while the “Great House” was being built). The Trustees now run it as The Inn at Castle Hill.